More than a kitty’s delight, catnip is a member of the mint family and makes an incredible tea, as well as poultice. Apart from its tantalizing flavor, catnip also packs a powerful punch in regard to health benefits. Healthy and flavorful, catnip is an herb that is also commonly referred to as catmint or catswort. Native to Asia, North America and the Middle East, catnip has been used for thousands of years in recipes, for common ailments and in various religious ceremonies. Most commonly in Western society, catnip is simply regarded as an herb beloved by cats. However, as more people become interested in homeopathic remedies for common ailments, this perception is changing. Typically, catnip or Nepeta cataria, grows up to 39 inches in height. The herb has a fairly short lifespan, as it is considered a herbaceous perennial. The leaves of the catnip plant very closely resemble those of the mint plant, with the major difference being color. Catnip plants have stalks and leaves that are a brownish-green hue. The leaves have a sawtooth appearance and are typically oval or triangular in shape. The catnip plant does produce fragrant white flowers, most often from early spring to late fall. Flowers may also range from blue to purple or simply have flecks of color. What is Catnip Tea Good For? The use of catnip leaves and flowers in tea has been and is still currently used for a wide range of medical ailments. The uses for catnip are many and varied, some of which are quite controversial. In Appalachia, a catnip poultice is used to treat hives and swelling, while some naturalists claim catnip is proficient cancer treatment. What Does Catnip Tea Taste Like? Catnip tea for humans differs from catnip found in cat toys. 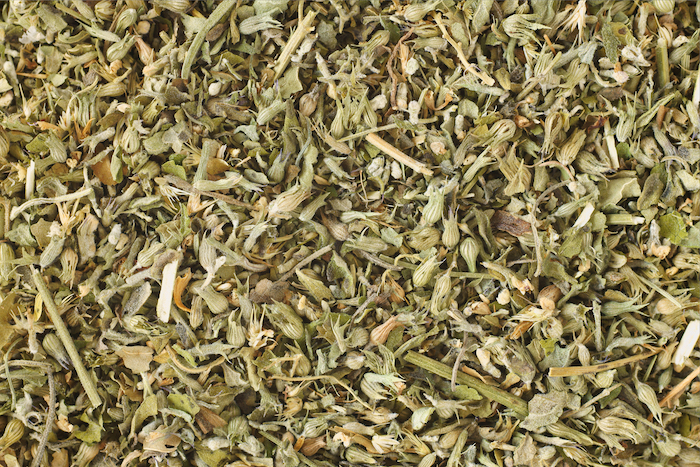 Fresh catnip tea has a very minty taste with citrus undertones, often described as lemony. Many people report a slightly salty flavor as well. Catnip does have a slightly bitter taste that can be overpowering if tea is not prepared correctly. The aroma of catnip tea is reminiscent of wild greens after a rain, with a subtle hint of citrus. Generally, people who enjoy mint or citrus teas also enjoy catnip. Because catnip is a member of the mint family, any mints or common mint pairings are ideal. Some suggestions include chocolate mint, lemon grass, chamomile, orange spice and rose hips. Basil, sage and thyme-based teas also bring out the rich flavors of catnip tea. Antispasmodic – Nepetalactone is the active chemical in catnip that cats find irresistible. This chemical also acts as an antispasmodic i humans, although does not affect humans as greatly as cats. Sedative effects – Regarding colic, animal studies have been conducted resulting in a myorelaxant and spasmolytic reaction, which supports the use of catnip tea. Again, further studies are needed to solidify this claim. As a relaxant or sedative for adults, animal testing on chicks and rodents showed that catnip oil increased sleeping time and decreased performance. However, high levels had the opposite effect and fewer chicks slept. It was only in low to moderate levels of dosing that the sedative effect was achieved. Insecticide – Field studies show that catnip oil repels insects better than DEET, a potentially harmful substance found in many commercial insect repellents. Antimicrobial properties – Catnip contains a diethyl ether, which has shown antimicrobial activity against fungi and gram-positive bacteria, although further studies are needed. Generally, catnip is thought of as a very mild antibiotic and antifungal. For instance, it may alleviate diarrhea but will not prevent an infection from taking hold. The biochemical profile of catnip is one that is rich in polyphenols, one of which is caffeoyltartronic acid. Another plant high in caffeoyltartronic acid is the mung bean. However catnip contains twice as much as the typical mung bean. Catnip also contains Vitamin A, Vitamin B, choline, folic acid, biotin, sodium, thymol, tannins, para-aminobenzoic acid, manganese and iron. Are There Any Side Effects from Catnip Tea? Pregnancy and breastfeeding – Pregnant and breastfeeding women should completely avoid any consumption of catnip. It is used to start menstruation, meaning it can stimulate the uterus and unwanted abortion can occur. The side effects for babies is not clear. Therefore it is best to err on the side of caution when breastfeeding. Prescription Medications – There are no none medications that interact negatively with catnip, excluding the sedatives used for surgical anesthesia. Catnip increases the effects of anesthesia on the central nervous system and may slow down these functions too much. Always stop taking catnip tea at least 2 weeks before surgery. Pelvic Inflammatory Disease – Women with PID should avoid catnip, as it can cause menstruation to start. Menorrhagia – Catnip may make this condition worse by increasing heavy bleeding. General – Some people have reported headaches and general malaise when using catnip or catnip tea. Catnip in very large doses can cause vomiting and a feeling of being ill. While there are no scientific standards regarding catnip dosage, the traditional dose to produce a sedative effect is 4 grams. Most often, tea drinkers use approximately 1 teaspoon of dried catnip per cup of tea. To make catnip tea, heat water to approximately 175 degrees Fahrenheit. This is about the temperature when tiny bubbles start to form on the bottom of the pan or kettle. Remove the water from the heat source, pour it over the catnip tea and cover. Infuse for approximately 5 minutes. Add natural sweetener or garnishes as desired and enjoy. When making catnip tea, it’s important not to let the tea steep for more than 5 minutes, as the bitter undertone can become too strong. It’s also important not to use boiling water when making a catnip infusion or tea, as this also results in a fairly bitter taste. Also, for skin hives or inflammation, using a warm tea bag as a poultice can help alleviate this issue. Where to Buy Catnip Tea? Catnip tea is readily available in most tea specialty shops, organic health food stores and online. Celebration Herbals offers a wonderful organic catnip tea, as does Alvita and Earth Wise Organics. Other wonderful choices include Traditional Medicinals and Tea Haven. Who Can Benefit From Catnip Tea? Most people suffering from insomnia can benefit from a cup of catnip tea before bedtime. Individuals with indigestion, those suffering from the common cold, infants with colic (very small doses), those with intestinal cramping or individuals who enjoy the relaxing effects of the tea. Most Americans live high-stress lifestyles and often juggle family, work and school. A cup of catnip is a wonderful way to begin a yoga session or experience a natural calm. Overall, catnip tea is a wonderful tea to have on hand. Most people experience issues like insomnia or indigestion at some point, and catnip tea is a healthy alternative to pharmaceuticals. The taste is fabulous when the tea is made correctly. We see why cats go over the moon for this minty herb. The only downside to catnip is that pregnant women can’t use it. After all, pregnancy and indigestion often go hand in hand. Catnip is thought to bring good luck and positive energy. Giving catnip to a cat is believed to create a physic bond between the pet and person. In ancient times it was thought that mixing catnip with dragon’s blood would rid one of bad habits. In the 1960’s, catnip was smoked to reportedly produce a kind of “high” or euphoria. Chewing on the root of catnip was a tradition in England among executioners before a beheading.